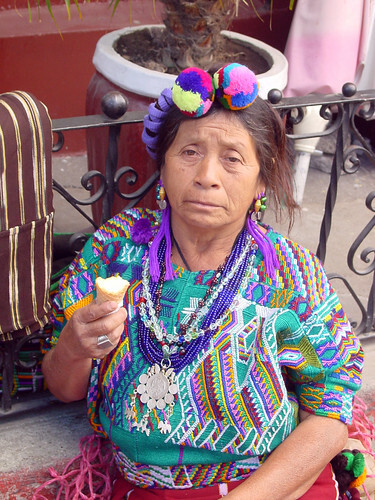 This woman is also from the Ixchel triangle, near Nebaj. Her huipil and pom-pom headwear are classic Ixchel. She also has ears pierced with cotton thread, and a medallion fashioned from old silver coins.